A new report shows that adopting autonomous vehicles sooner rather than later could save an extraordinary number of lives. From fender benders to a fatal crash, the self-driving cars and trucks now on the road have had their share of mishaps. But they're considered safer than conventional vehicles, and experts say they'll become even safer as autonomous technology matures. Just how safe should they be before we embrace them fully? A new report gives a stark answer to that simple question. It suggests that even if "highly automated vehicles" (HAVs) are only a bit safer than human-driven vehicles, it makes no sense to delay their deployment until their safety performance is significantly better or nearly perfect. In one of the most optimistic scenarios, the speedy acceptance of self-driving cars would spare 1.1 million lives over 50 years. The provocative report, released November 6 by the Santa Monica, California-based Rand Corporation, is based on an analysis of 500 scenarios involving varying levels of autonomous vehicle safety and different timetables for wide-scale adoption of the vehicles. Getting large numbers of self-driving vehicles on the road sooner rather than later would also speed the accumulation of the real-world data needed for an accurate assessment of the vehicles' safety performance. Without that information, it will be hard for automotive engineers to make the refinements needed to bring autonomous technology to maturity. Dr. Nidhi Kalra, a senior information scientist at Rand and co-author of the report, points to previous research showing that autonomous vehicles need to be driven hundreds of millions or even hundreds of billions of miles before we get enough of this information. That would take hundreds of years to accumulate with the tiny number of autonomous vehicles now on the road, Kalra told NBC News MACH in an email. What do other experts make of the report? In an email to MACH, Dr. Joyce C. Pressley of Columbia University's Center for Injury Epidemiology and Prevention said the projections of lives saved seemed high. "Another thing to keep in mind that the vehicle fleet takes decades to turn over so the steep slope of their lives saved is not supported by the data," she said. "I think we will see a much more gradual change in lives saved partially related to the fact that non-automated vehicles will continue to share the roadways with the automated vehicles." In any case, there’s no doubt that human-driven vehicles claim lots of lives. Vehicular crashes killed 37,461 Americans in 2016, according to the National Highway Traffic Safety Administration (NHTSA). 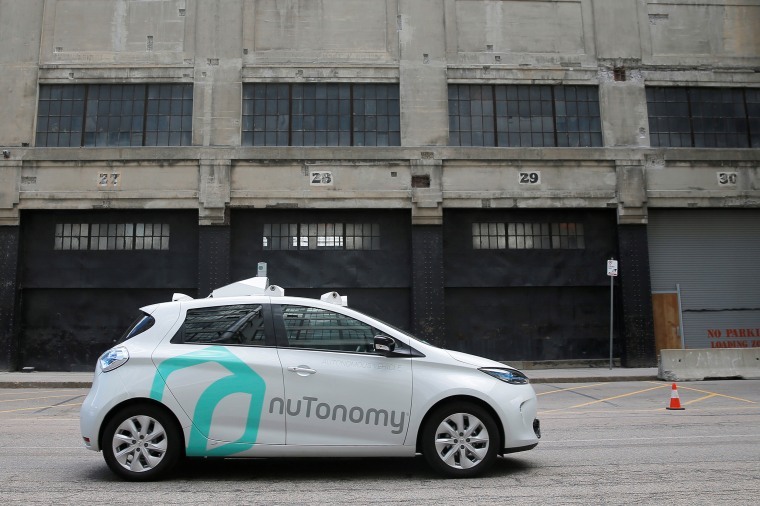 Though regulations governing the use of self-driving vehicles are a work in progress, self-driving cars are slowly making their way onto American roads. Experimental programs are now planned or underway in cities including Boston, Pittsburgh, Phoenix and New York City. But while Americans are intrigued by self-driving cars, we’re also a bit wary. A recent MIT study showed that only 13 percent of consumers polled are comfortable with the idea of fully autonomous vehicles. Kalra said it’s not surprising that many people harbor self-driving doubts. She likened the fear of autonomous vehicles to the fear of flying. “People are more accepting of mistakes that other people make than mistakes that machines make, even if the machine overall performs better than people,” she said. But as self-driving vehicles become more familiar, maybe we’ll become more comfortable with them — and that could help us reach an important tipping point. As Rosekind said in 2016, “We are clearly on the cusp of a technological transformation in vehicles that will absolutely change the way people get around and it should catalyze an unprecedented advance in safety on our roadways."